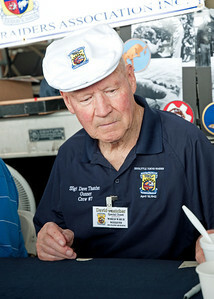 Dave Thatcher was flight engineer/gunner on crew #7 for the April 18, 1942, bombing of Tokyo and other Japanese cities. The 16 B-25 Mitchells lumbered off the deck of the USS Hornet deep in the western Pacific, each carrying four 500-pound bombs, in a daring move to raise American morale and shake Japan's confidence at a time when the Japanese were winning everything. It did both. All the bombers were lost -- none of them to hostile action -- and 11 of the 80 aircrew were killed or captured. 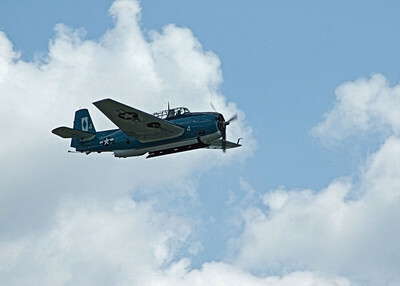 Thatcher's plane ditched at sea. 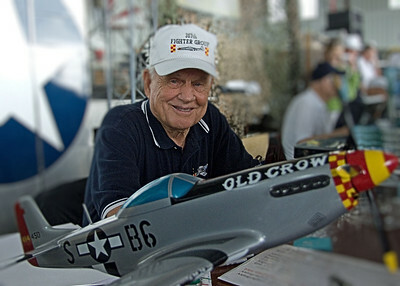 He is shown here, age 88, at a 2010 air show in Reading, Pennsylvania. Thatcher died in 2016, the next to last veteran of the mission. 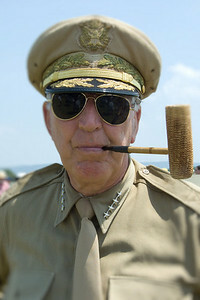 Richard E. Cole at 2009 Reading Air Show in Pennsylvania. 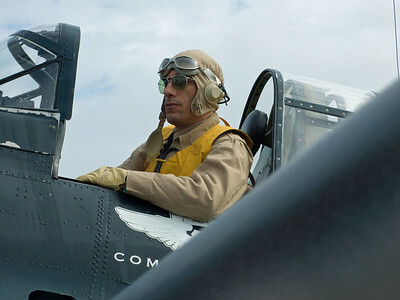 He was Lt. Col. Jimmy Doolittle's co-pilot for the April 18, 1942, bombing of Tokyo by 16 carrier-launched B-25 Mitchells. This first attack on Japan came less than five months after Pearl Harbor, shocking the Japanese and lifting the morale of Americans. In foreground is a model of the medium bomber. Cole was the last living veteran of the raid. 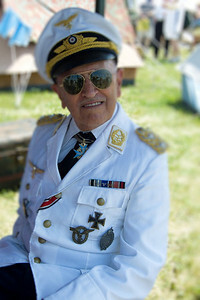 He died at age 103 in 2019, nine days before the the 77th anniversary. These 80 sterling goblets honor the aircrew who took part in the April 18, 1942, bombing of the Tokyo area. At each of their annual reunions, the Raiders honor those who have died and whose goblets are turned upside down. You also see a bottle of cognac, vintage 1896, the year of Jimmy Doolittle's birth. It is to be drunk by the last two Raiders at the last reunion. 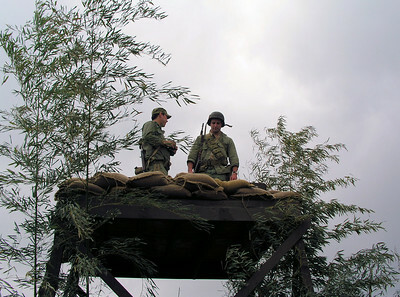 They are housed in a portable wooden case made by Raider Richard Cole and on display at the National Museum of the U.S. Air Force in Dayton, Ohio. 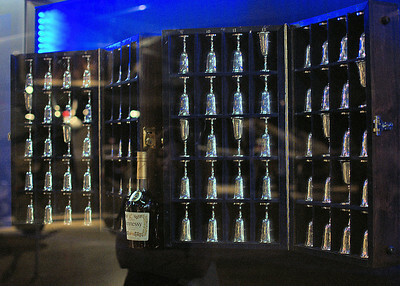 In 2010, eight goblets were still upright. 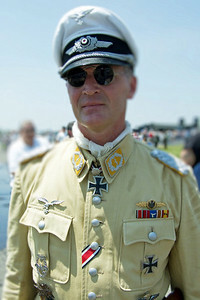 Re-enactor as World War II Luftwaffe pilot at 2008 Reading Air Show. 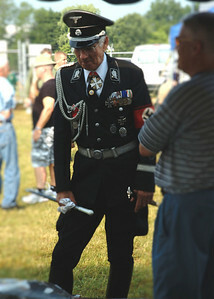 Re-enactor at 2008 World War II weekend In Reading, Pennsylvania. 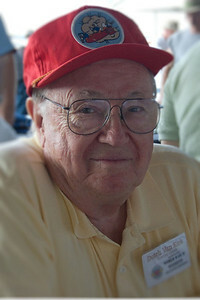 Clarence "Bud" Anderson at 2009 Reading Air Show. 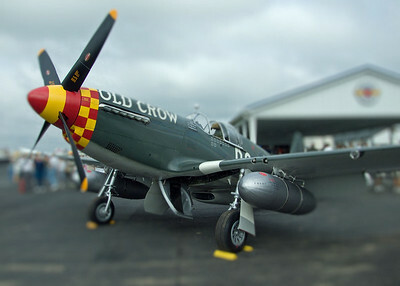 He was a triple ace and flew a Mustang named "Old Crow" while with the 357th Fighter Group of the 8th Air Force in England. Anderson was the leading ace of the 363rd Fighter Squadron, with 16 1/4 victories. He was 87 years old when this picture was taken. 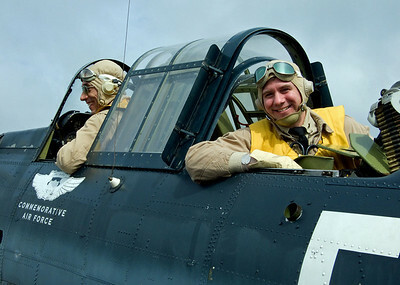 Re-enactor sits in pilot seat of a Dauntless Divebomber at the Reading Air Show in Pennsylvania. Re-enactments are part of the 2009 World War II weekend at Reading Airport in Pennsylvania. Here are Bill Riley and Joe Zieglar as Abbott & Costello. 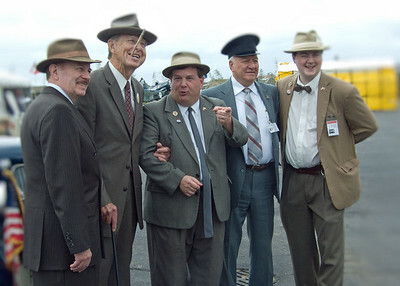 With them are doubles for FDR, the president's driver and a reporter. 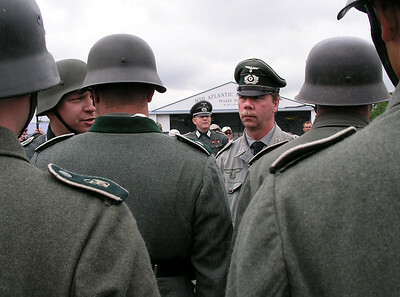 Re-enactors of German soldiers hold roll call at 2005 World War II weekend at Mid-Atlantic Air Museum in Reading, Pennsylvania. 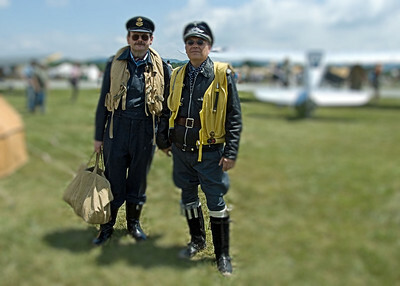 These are the real guys, not re-enactors, at the 2005 Reading Air Show in Pennsylvania. 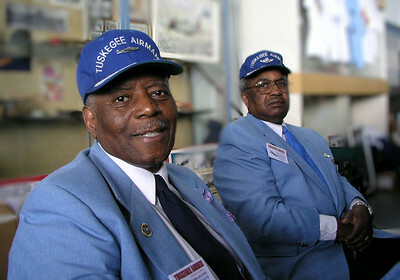 The Tuskegee Airmen were African-American pilots who flew with distinction during World War II in the 332nd Fighter Group of the US Army Air Corps. 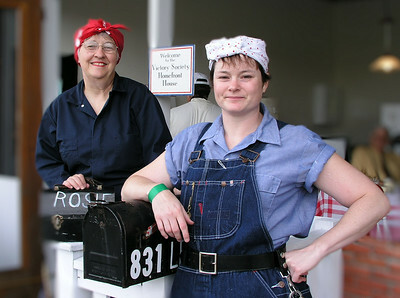 GI re-enactors at the 2007 World War II weekend, Mid-Atlantic Air Museum in Reading, Pennsylvania. 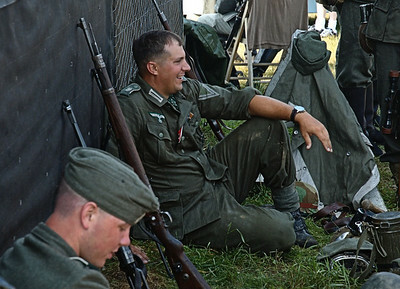 Waffen SS re-enactors look the part at the 2007 World War II weekend at the Mid-Atlantic Air Museum in Reading, Pennsylvania. This Warhawk sports Flying Tigers livery. 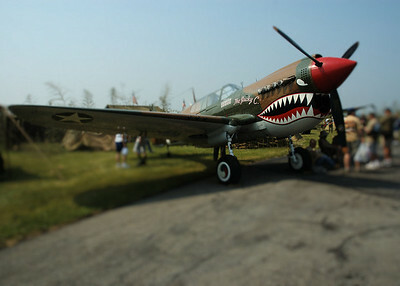 It was on display at the 2007 World War II weekend at the Mid-Atlantic Air Museum in Reading, Pennsylvania. 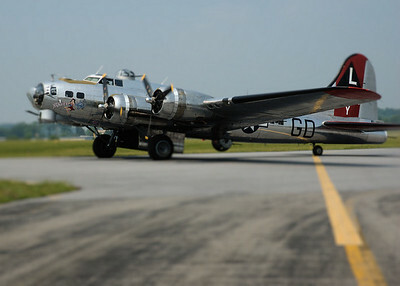 Boeing B-17 prepares for takeoff during 2007 World War II weekend at Mid-Atlantic Air Museum in Reading, Pennsylvania. 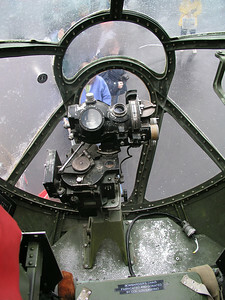 In the nose of B-29 at 2004 Reading Air Show in Pennsylvania. 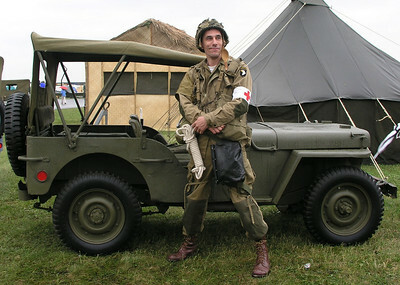 Re-enactor as paratrooper of the 101st Airborne Division. 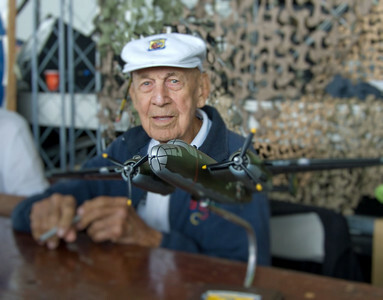 He was part of the 2005 World War II weekend at the Mid-Atlantic Air Museum in Reading, Pennsylvania. 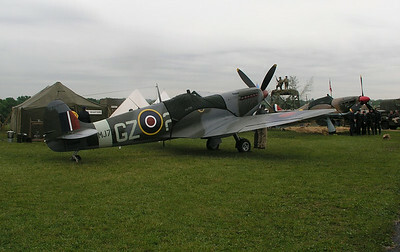 Spitfire on left, Hurricane at right. 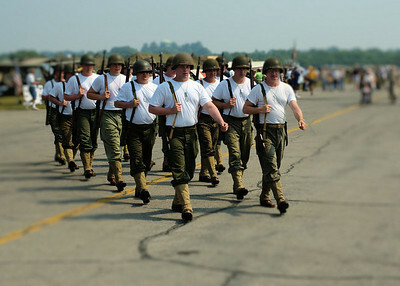 At 2005 Reading Air Show in Pennsylvania. 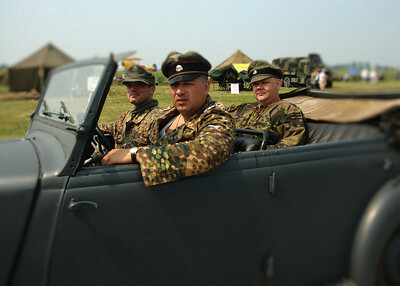 Re-enactors as German soldiers at 2007 Reading Air Show in Pennsylvania. 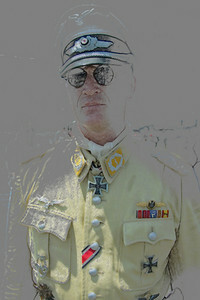 Allgemeine SS re-enactor at 2007 Reading Air Show in Pennsylvania. 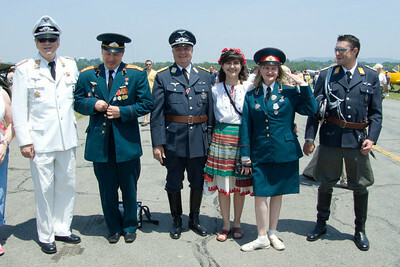 Re-enactors as German Luftwaffe and Russian army officers and a peasant. 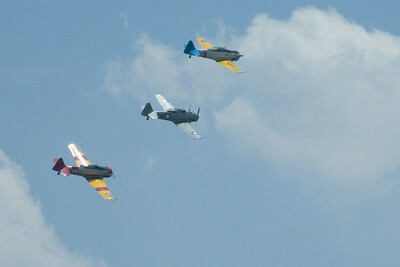 They participated in the 2008 Reading Air Show in Pennsylvania.